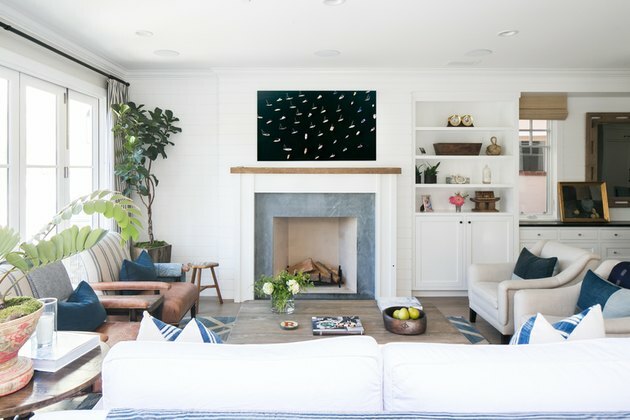 You don't have to live anywhere near an ocean to embrace beach chic style in your home. Beach chic style is simply an aesthetic inspired by the casual, cool lifestyle of living near the water. With the right color palette, lighting, and textures, your space can feel like it's steps away from the sand, too. 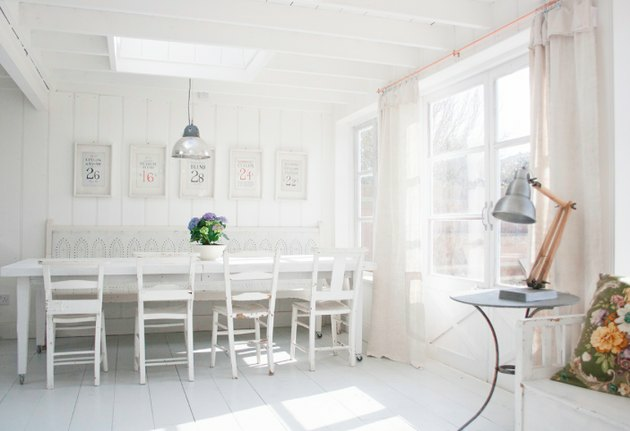 We love this kitchen because the windows are bare. No curtains or blinds, just sparkling clean windows that let all of the light pour into your home. Of course, this isn't always manageable when there's a dirt patch or a city street right outside your window. Instead try sheer curtains or a sheer roller shade — something that gives the illusion of a bare window. 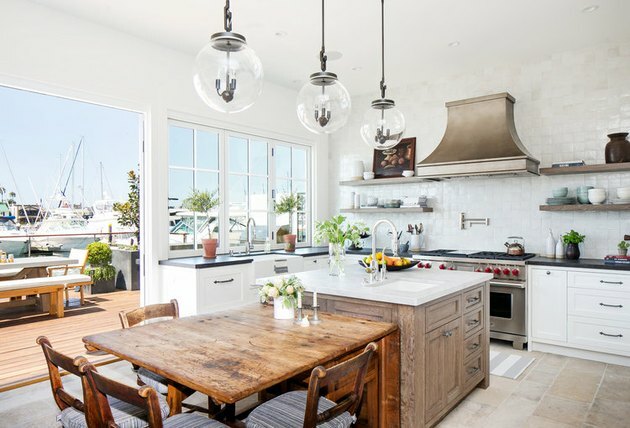 All white-decor is incredibly beachy — especially in the kitchen. 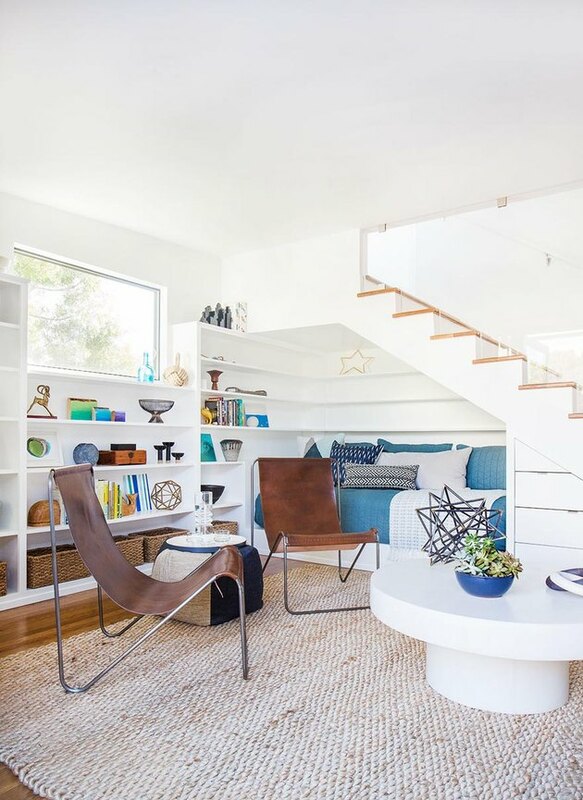 To avoid it looking plain and dimensionless, work with a variety of textures to create depth an the all-white space. 3. Go for nautical details. 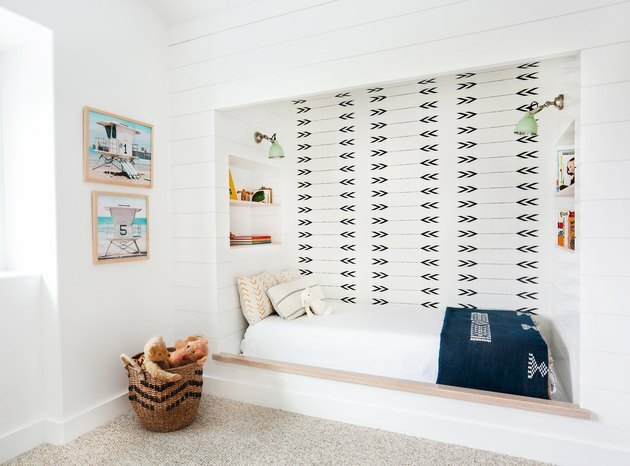 A pop of nautical inspiration here and there will keep your beach-inspired space on-brand without being aggressively thematic. We love the lighthouse photography on the wall in this boy's bedroom. 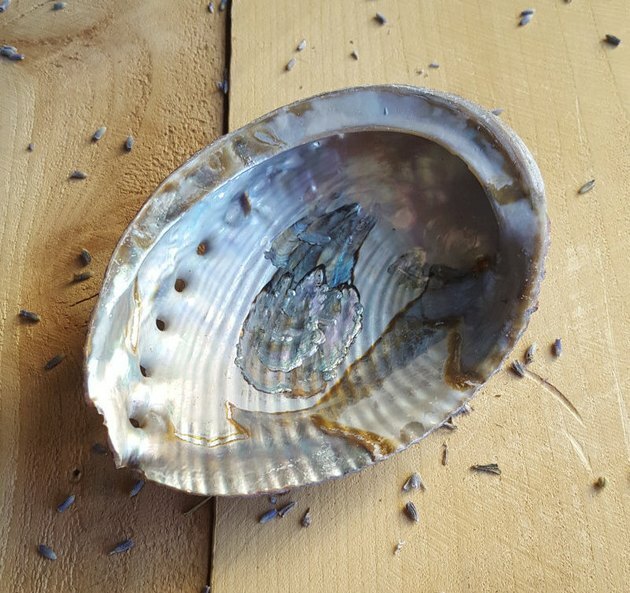 Abalone shells as a soap dish, conch shells as bookends — take advantage of actual ocean debris as art. You can find all sorts of shell decor on Etsy. 5. Always go for airy and bright. A beach home is meant to embrace the wafts of the ocean breeze. When designing your own home, keep in mind that the space should feel open, airy, and bright. If you've got a small space and feel like this is a challenge, there are plenty of hacks for opening up a room. 6. Make a smaller beach chic statement. If you're wary about Cape Codifying your entire home, look to a smaller space and try bringing the theme into your bathroom. 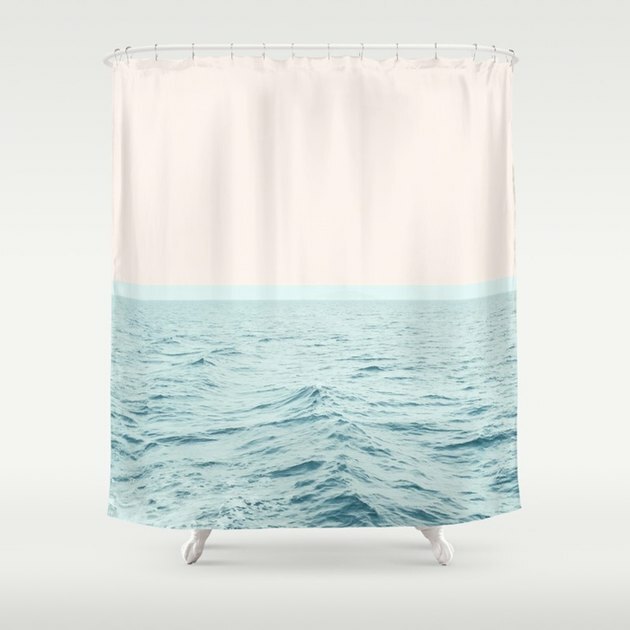 This shower curtain from Society 6 ( $68.99 ) channels an ocean vibe that is anything but tacky. Your communal room should feel like a place that wouldn't mind getting a little sand in the corners — so feel free to mix up pieces, have shelves full of imperfectly placed items, and cushy textures that inspire relaxing. 8. When it comes to color, think of the ocean. Without layering your home in shell-printed patterns, let the color palette be inspired by the various blues, teals, and taupes of the beach. The colors in this room are understated, but clearly inspired by the ocean outside the window. 9. 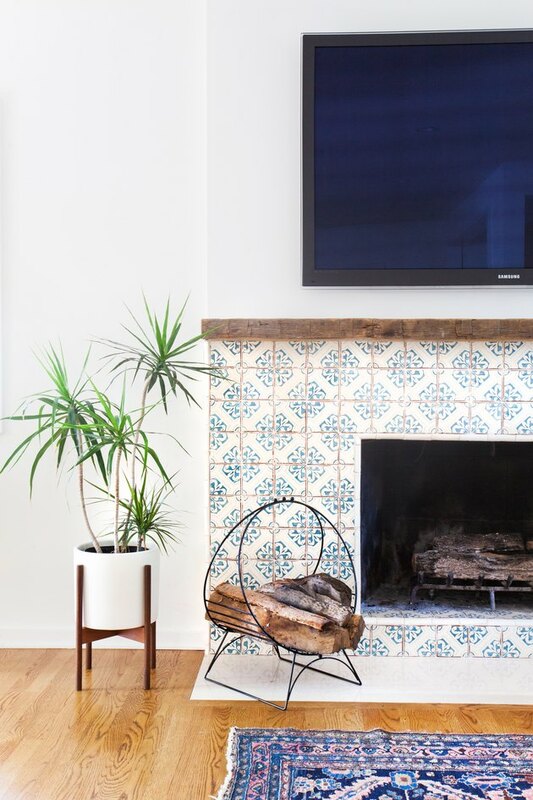 Tile can be your go-to for patterns. This tile print reminds us of the beaches of Mexico. The tiles, in lieu of brick or flagstone, turn something earthy and wintry like a fireplace into a fun, bonfire-inspired centerpiece. And there are plenty more unexpected ways to work tiles in your home. 10. Take inspiration from your favorite beach hotel. 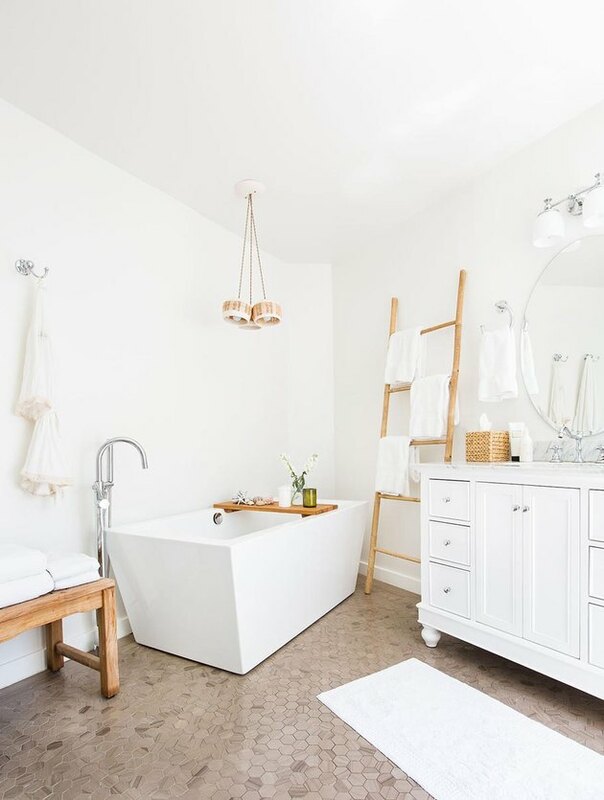 Create a bathroom experience that's like the spa-style bathrooms at your favorite beach resort so you feel like you're on a tropical getaway every time you step into your own relaxing bathroom. The only thing more soothing than this bathroom would be listening to actual waves. 11. Casual dining is cool. 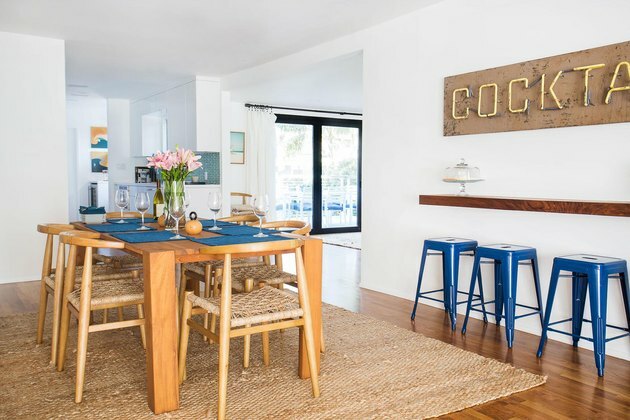 Our favorite element of a beach home is that, while chic, it's casual and embraces the beach-goer lifestyle. 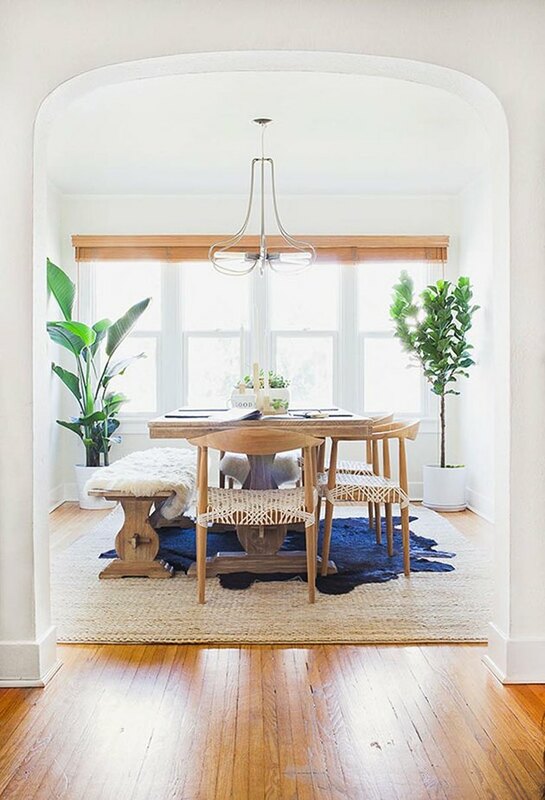 A dining room like this is the place where you shake out the sand, famished from a day in the sun, ready to eat. Note how well texture and color work in this room, with natural hues and jute elements blending with bold blues and teals. 12. Look for thematic art. 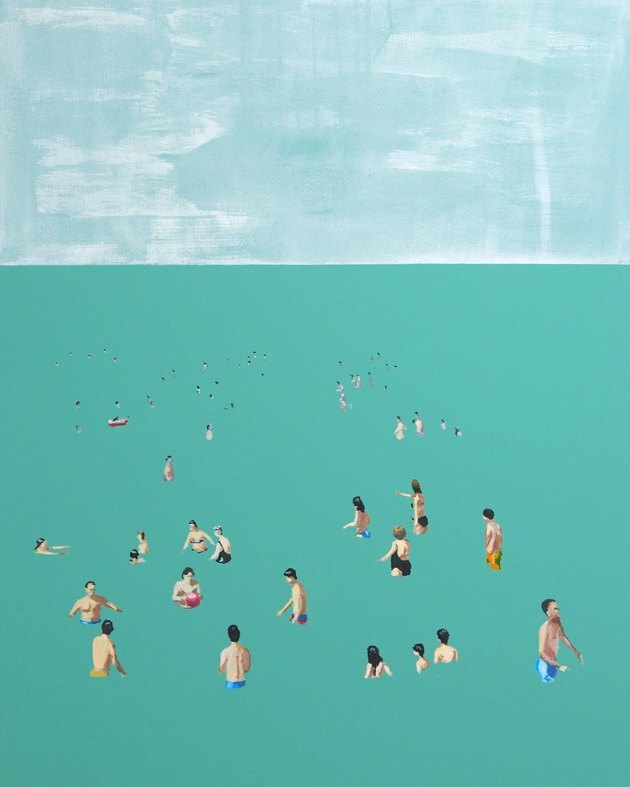 The ocean is a muse for many artists, so take advantage of the wide array of art inspired by the beach. This limited edition print from Saatchi Art features the work of Spanish artist Carlos Martin — and this beautiful piece will only set you back $200.